WashPT | "Get fit for life!" WPT strives to create an environment that fosters professional, positive, and caring relationships and a healing environment between patients and staff. With this in mind, the staff at WPT is dedicated to providing first-rate care to all of our patients, clients, and fitness members. 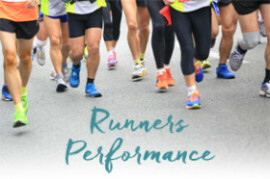 Our goal is to help patients achieve optimal physical health and return to a normal lifestyle, including work, recreational, and home activities, as soon as safely possible. Our philosophy emphasizes that each patient be taught a home exercise program that promotes the self-management of their orthopedic issue. WPT is proud of the excellent rapport we have with our referring physicians. But more importantly, we strive to maintain the confidence and support these physicians place in us. 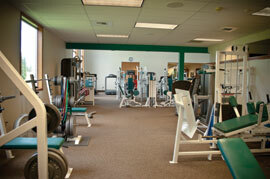 Each staff member is dedicated to providing the excellence these physicians require. We will work closely with your physician to provide a comprehensive rehabilitation program that is designed to meet your specific needs. 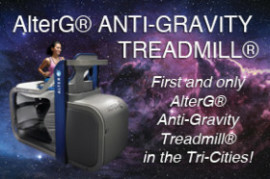 We are pleased to announce that the first and only AlterG® Anti-Gravity Treadmill® in the Tri-Cities is here!